Is social media destroying democracy? Are Russian propaganda or "Fake news" entrepreneurs on Facebook undermining our sense of a shared reality? A conventional wisdom emerged after the election of Donald Trump in 2016 that new technologies and their manipulation by foreign actors played a decisive role in his victory and are responsible for the sense of a "post-truth" moment in which disinformation and propaganda thrives. The talk will present Benkler's new research that challenges that received wisdom. Analysis of millions of news stories together with Twitter and Facebook shares, broadcast television and YouTube provides a comprehensive overview of the architecture of contemporary American political communications. Data analysis and detailed qualitative case studies of 2016 election coverage of immigration, Clinton scandals, and post-election coverage of the Trump Russia investigation show that the right-wing media ecosystem operates fundamentally differently than the rest of the media environment, and that these changes have roots in longstanding institutional, political, and cultural patterns in American politics, rather than in Facebook's algorithm or Russian bots. The implication is that most current efforts to rein in hateful and extreme content are focused on too narrow a part of the problem to yield effective solutions. Register Today! No travel required. This is a virtual session. 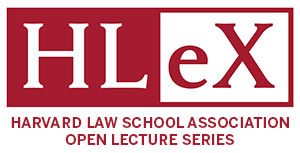 The one hour, monthly HLeX Open Lecture Series is an alumni engagement program that provides HLS alumni around the globe with an opportunity to hear from HLS faculty with the convenience of being in your own office!